The food industry always needs an attractive and excellent representation with a variety of backgrounds and color fonts. It is said that the restaurant menu depicts the tastes and elegance of the restaurant food. 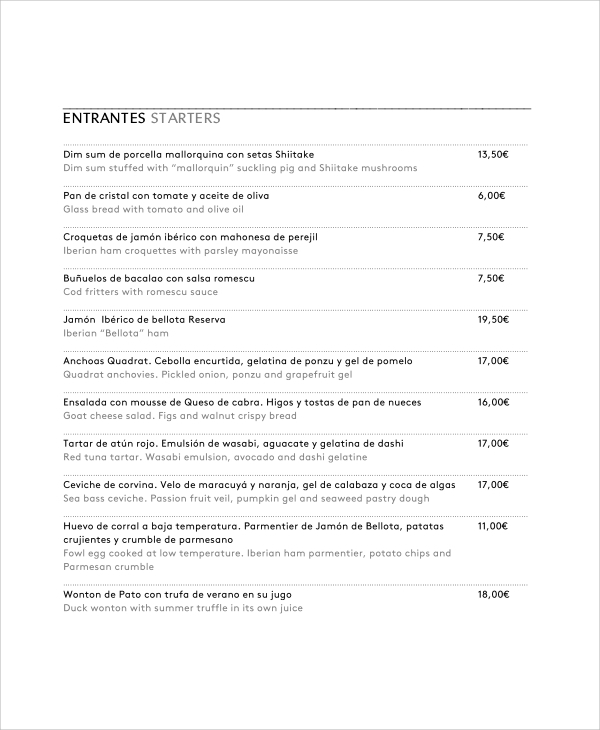 The Restaurant Menu Template should include all the necessary dishes, different zones and its categories food. 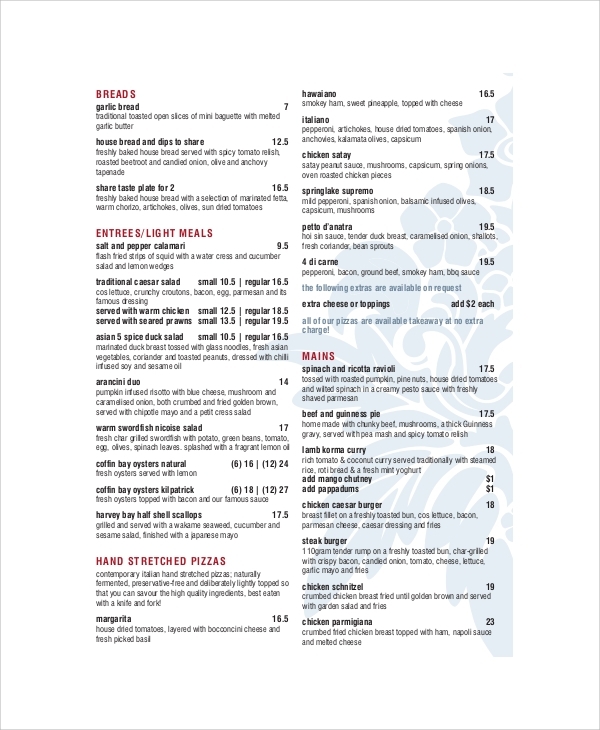 The restaurant theme and its menu theme should match each other, and all its forte and the menu should match with the standards. 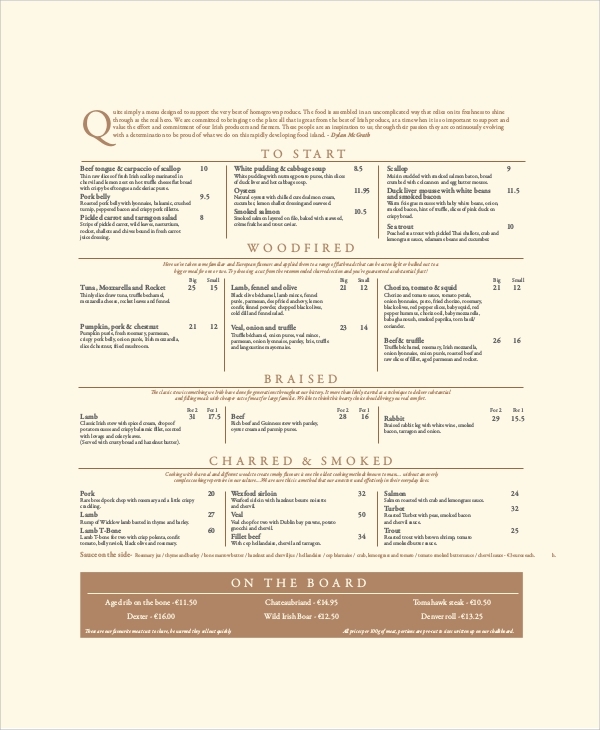 This template is very useful for a restaurant in which has a modern concept where their variety of food is described as the ingredient, and it helps the customer to identify key food type which they can consume and enjoy the food. It’s easy to edit and customizable in color and fonts. 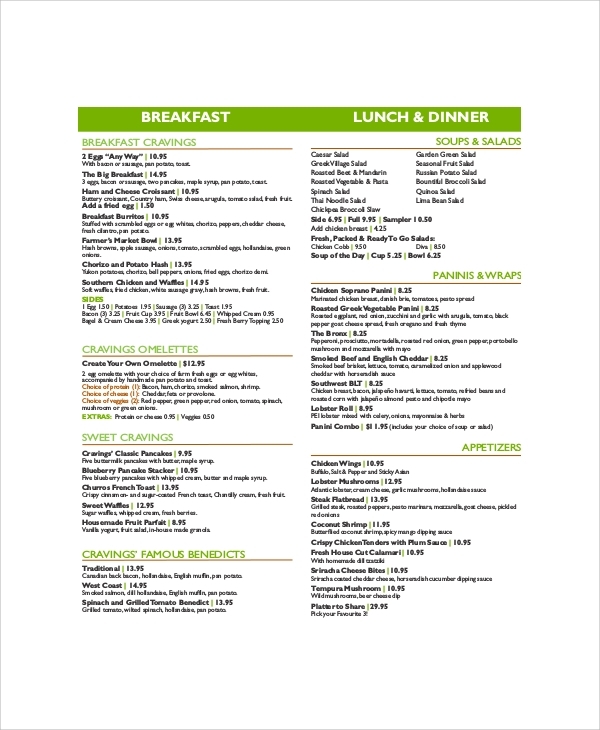 This menu card template is used by most of the modern restaurants in which the restaurant can show the variety detail options for meals in courses like soups, main course, appetizer, dessert and more. Its template is available in various formats and it is easy to edit as per restaurant requirements. 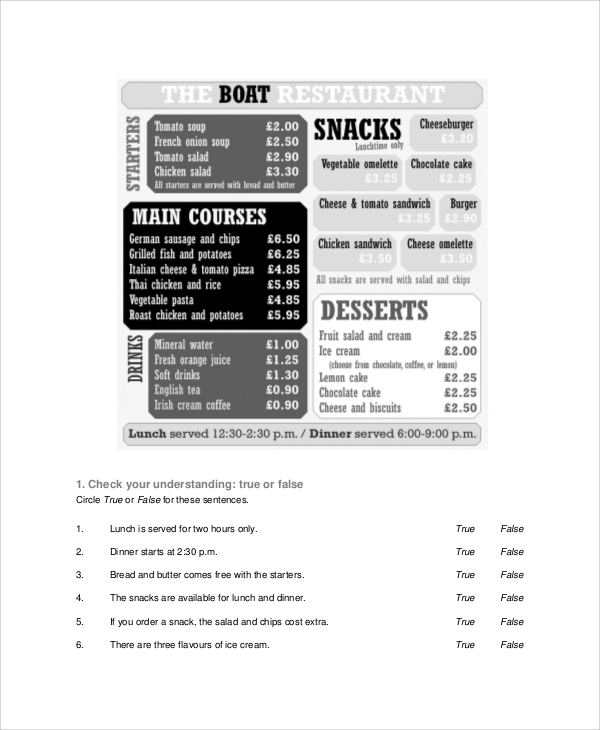 This template is a menu book which is used by most restaurants which operate for the whole day and offer a different type of meal to each customer at a different time like breakfast, lunch, dinner, fast food and more. The menu book covers a whole meal in detail which helps the client to identify as per their needs. The menu book plays a significant role in restaurant businesses for success. If you are looking for the perfect and elegant template for your restaurant, then this would be best suited for you. The color and theme of the restaurant menu and its cuisine should match each other. 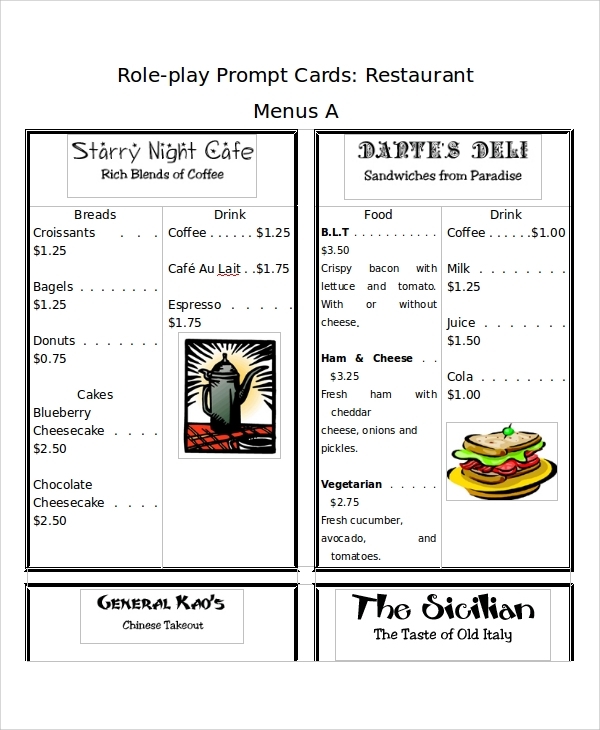 The multi cuisine variety and restaurant menu card reflects different tastes and ideas. It provides an elegant and attractive outlook to the restaurant menu sample. It gives all the details about the restaurant and its cuisine. It is useful to convey the prices of the restaurants. All the essential details about the restaurants, its courses and ingredients are represented in a proper way. A good restaurant menu is an excellent depiction of restaurant quality. Initially, the restaurant food list and their prices should be decided. The restaurant menu background and themes should be considered according to the theme, interior and cuisine of the restaurant. 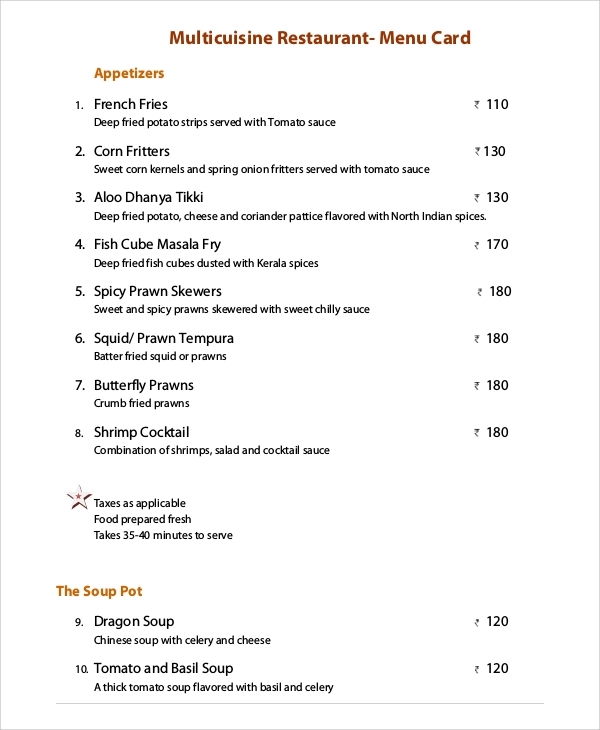 The menu card is a perfect conveyance of the significant and unique dishes and forte of their chefs and courses. Lastly, the background themes, designs and food lists are coordinated perfectly with each other to form the perfect restaurant Menu Card. 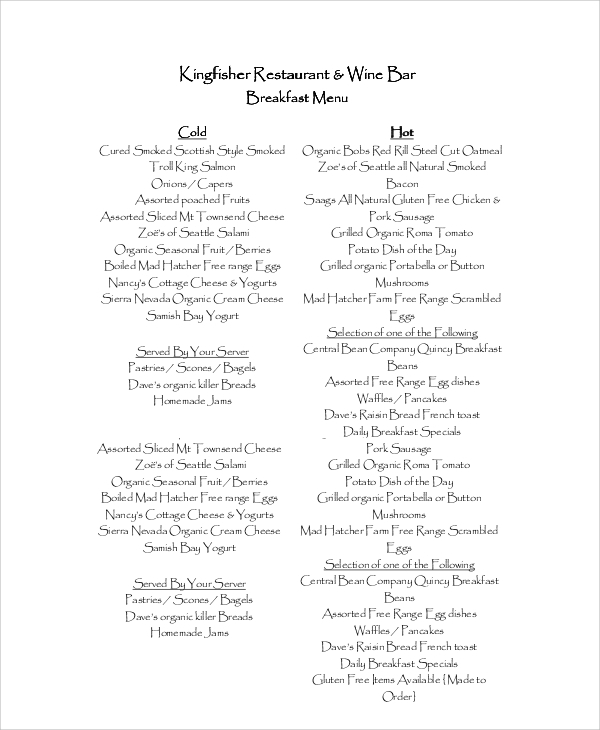 All the templates of restaurant menu and wedding cards are available in both the formats, documents and pdf. All the documents are compatible with all the versions. As we are customer oriented, your satisfaction is always prioritized, and your requirement is always taken into consideration.